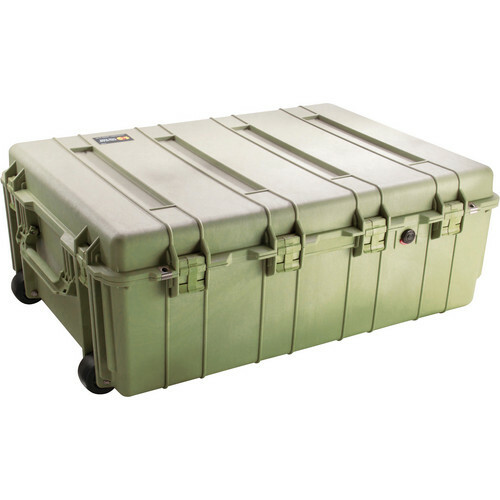 1730NF Transport Case without Foam (Olive Drab Green) is rated 5.0 out of 5 by 1. Rated 5 out of 5 by L the land surveyor from Solid storage/transport case! I've used Pelican cases for years to transport and protect surveying equipment. Bouncing around in a truck, being tossed down in rocks, strapped on a 4-wheeler... I don't think I've ever broken one. This one seems to be just as solid as all of the smaller ones I've used - just bigger! I assume it will last just as long.